Phil comes to Redi-Rock of K.I.T. from an engineering firm in Minnesota where he spent the past eight years engineering retaining walls, doing field inspections/project management, and conducting engineering seminars around the country for various hardscapes licensees. 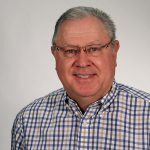 His extensive understanding of the retaining wall industry and product capabilities comes from “hands on” experience, strong relationships with contractors in the field, and the ability to communicate with engineers and architects to insure projects follow the highest aesthetic and safety standards. Phil shares the Vittitow family philosophy of “giving back” to the community and has personally donated his time and talents to The Make A Wish Foundation and an inner city youth art mentoring program in past cities he has lived in. His strong sense of duty to others and loyalty were instilled in him during his tour in the U.S. Marine Corps.